Brand development closely parallels with local SEO and vice versa. Each of the ranking factors above are also actions that help develop your company’s reputation and identity. As a Dallas – Fort Worth business, your target market is defined within the Metroplex. Finding ways to establish visibility and create a buzz around your company requires in-depth knowledge of marketing and the principles that compose it. Call 800.231.4871 for local branding services in DFW. As a branding exercise, every Dallas – Fort Worth business should review the qualities above and pose the question “does my company meet this criteria? Identifying your company’s strengths and weaknesses sets the foundation for a branding strategy that will help you develop a more impactful identity in your industry and community. DFW SEO can help you get started today with our online branding services. The savvy business owner may think he or she can handle branding on their own, but will soon learn that the process is more difficult than anticipated. 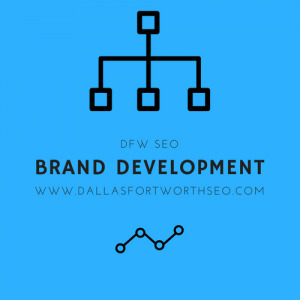 Dallas / Fort Worth SEO provides an ideal solution with brand development. We utilize website design, content marketing, search engine optimization, social media advertising, and more to expand your company’s recognition within your industry and local community of DFW. We believe a strong online presence is the foundation to a successful brand. Existing in relative anonymity might have worked 20 years ago when word of your services could travel from door to door. But research proves time and again that consumers are no longer acquiring information in that manner. Instead, they are going online to look for services, and to form an opinion on a company’s reputation. Websites like Google My Business and Yelp are more critical to branding than ever before. Call 800.231.4871 to get started with local brand development in Dallas – Fort Worth, TX. Updated on October 31, 2018 at 7:26 pm by Dallas / Fort Worth SEO.